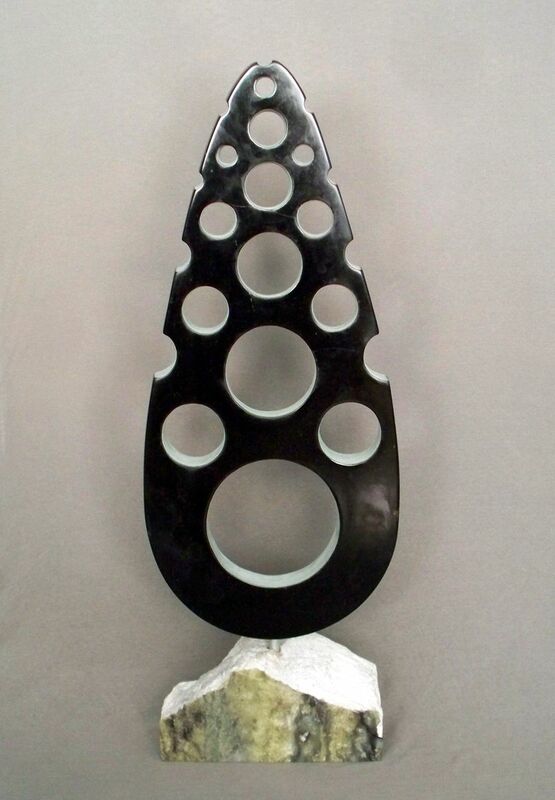 This geometric sculpture was carved from chlorite (a natural stone similar to soapstone). The black parts are polished, the white, interior was left with a much rougher texture. It is permanently attached to a brucite base (brucite is similar to marble), with an aluminum rod. Dimensions: 32" x 11" x 3.5"